In QuickBooks 2013, the Group Item limit has been increased to 50 in Pro and Premier – this means that a single QuickBooks Group Item can hold up to a total of 50 individual items! I’m a big fan of QuickBooks Group Items, I think that they are a HUGE productivity booster – but I’ve always had one gripe – they could only hold 20 items in previous versions of QuickBooks – which meant that you had to create more group items in order to accomplish what you set out to do. This has changed with the release of QuickBooks 2013. With the increased number of items that a group can hold, these item types will be even more powerful. While some of you may know, I’m not a fan of QuickBooks 2013 – the new color scheme and font sizes and colors give me a wicked headache – which makes it difficult for me to work in it for any length of time; actually 30 minutes is about all I can handle before my eyes start to hurt and burn, even first thing in the morning after a good nights sleep. But just because I don’t like it because I can’t work in it and be as productive as I usually am – doesn’t mean that there are features and changes that I do like! I’ve never really understood why more of our construction clients don’t use Group Items – maybe it’s because it’s an item that isn’t discussed much or perhaps they just don’t realize they exist. One tech support call that I receive a lot with our AIA Billing program involves being asked “How can I track more detail then I show on my AIA draws? I need/want to track labor, materials, equipment rental, etc. , but I only want my customer to see a single line item description with a total dollar amount.” My answer is always the same – create a Group Item, and they are like “huh?”. Once I walk them through how to find the initial setup and creation of a group item, the usual response is “I didn’t know you could do that!”. I often see users on the Intuit QuickBooks User forums asking how they can “memorize” an Estimate to use over and over again – why not create a group item that contains everything that you need to build your estimate? If you upgrade to QuickBooks 2013 from an older version and already use Group Items but have maxed them out at the previous limit of 20; once you’ve upgraded your file you can Edit an existing group and add another 30 items. I tested this and the new items only appear on new Estimates, Invoices, etc. that you create from this point forward. Your original or existing Estimates, Invoices, etc. remain unchanged – or at least that’s the way it worked in my test file..
I’m not certain if Enterprise allows for more than 50 items, to be honest, I haven’t even installed it yet – but it’s on my “To Do” list. Take the time to properly set up your Group Items and reap the rewards on an on-going basis. Seriously, would you rather create a group item once pulling in up to 50 specific items – OR – would you rather create Estimate after Estimate (or Invoice after Invoice) and each time pull in those 50 items? Efficiency and productivity boosters like this help you work smarter! Did you find this post helpful? If so, please feel free to share it on your favorite social media site or leave us a comment! I really don’t think it’s documented anywhere – it was one of those things that sort of snuck into the newer versions. They have NOT reverted back to the 20 item limit, I just double-checked and created a new group item in QuickBooks Premier – I have 50 items within the group and everything is there. When I attempted to put in the 51st item, then I received a message that I had reached the limit. I use groups in QB 2011 Premier Manufacturing and Wholesale. Of course, I’m limited to 20 items per group and was happy to see this limit has been increased to 50. However, QB sales is telling me the limit is still 20 items per group (I’ve also seen online articles stating 20 as the limit for 2014). Have they reverted back to 20 for this limit or could it just be a matter of their documentation not being updated? Thanks for dropping by! I do apologize for the delay, I was out of town last week attending a QuickBooks conference. Thanks for the compliments – I wish I had more time to publish articles (they are very time consuming) but like everyone else, I only have so many hours in my day! Excellent website. A lot of useful information here. 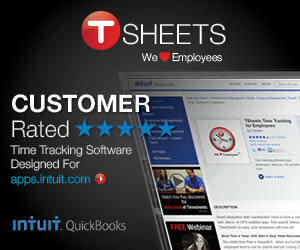 I am sending it to several friends.Very informative article on Quick Books.Please update more often. Great Article, It really Helped, Keep it up! Nancy…. I agree Monica – I think there are going to be a lot of “happy” campers over this enhancement! Building complex estimates are tough (so easy to forget something), this should help! I agree – I’m a huge fan of groups (and not just Items), too! I find it can be a quick way to get estimates done faster in QB. I have a client who is happy to know that they can now have more than 20 items in a group.